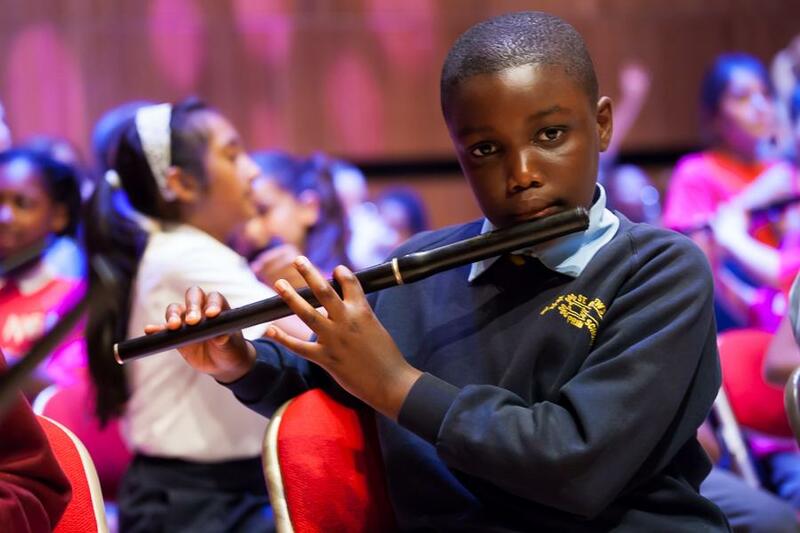 Each March the Lambeth Music Service proudly presents their annual music festival held at the iconic venues of the Southbank Centre. The Festival features nearly 3000 young musicians from over 50 schools performing in the Royal Festival and Queen Elizabeth Halls in an exciting week of concerts with an audience of over 5000. In July every year the Musitrax Festival celebrates the achievements of up to 600 Year 4 children who began learning their instruments each September. 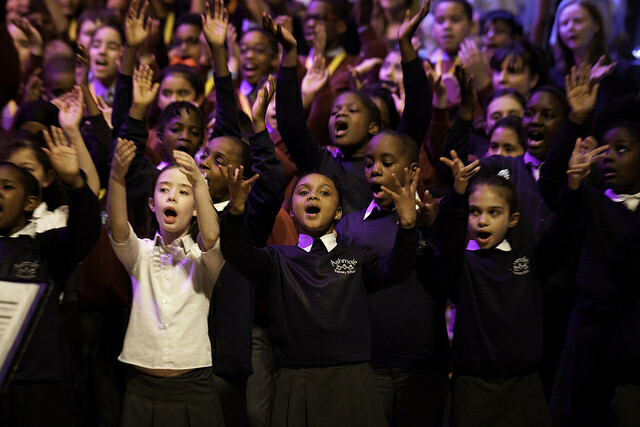 For the culmination of the unique Musitrax Whole Class Ensemble Tuition Programme, the children perform in a massed string orchestra and a massed wind band at the Southbank Centre.